Light and compact, ideal for general use and work in tight places. Glow in the dark vial frames for dark areas. Tubular vials, 180° - 45° - 90°. Three strong rare earth magnets. V-grooved edge to balance level on pipe. 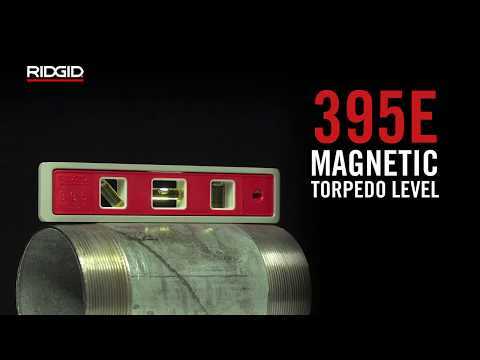 Magnetic Torpedo Level is rated 5.0 out of 5 by 1. Rated 5 out of 5 by Coolicool from This product give excellent grade accuracy. I've used other torpedo levels and found this one to be more accurate then all of them. I like the fact that you can see exactly how much grade according to the marked fraction on the gage.